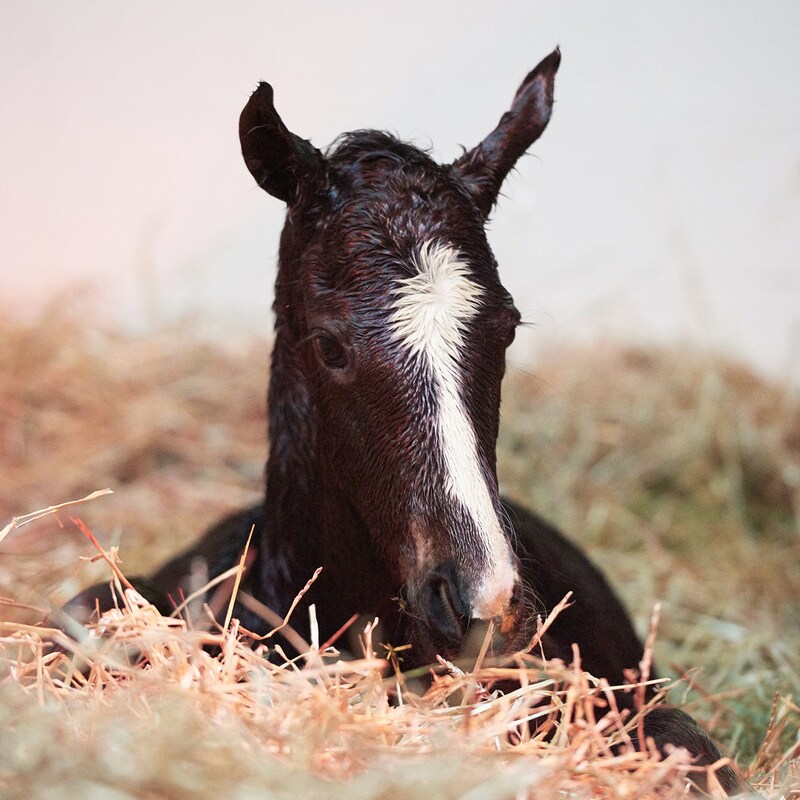 Zenyatta’s colt by War Front, born on April 11 has succumbed to meconium aspiration syndrome. Meconium is the manure produced by a foal during it’s first 12 to 24 hours of life. When it is expelled in utero, the foal can aspirate feces during its first breaths.from materials ingested while in the uterus. Zenyatta has returned to Lane’s End Farm in good health and is currently turned out with another mare, Vixana, who is also owned by Jerry and Ann Moss. Zenyatta and Vixana are the same age, and they trained together under John Shirreffs at Barn 55. The two are becoming reacquainted and have already shared a drink at the water bowl. I know! Poor Zenyatta, too. You know that they had the best veterinary care. It’s such a shame when things go this wrong.